Idea Camp is a programme that makes possible to work on ideas that explore how citizens and communities can get directly involved in participatory democratic processes that shape and govern our cities. 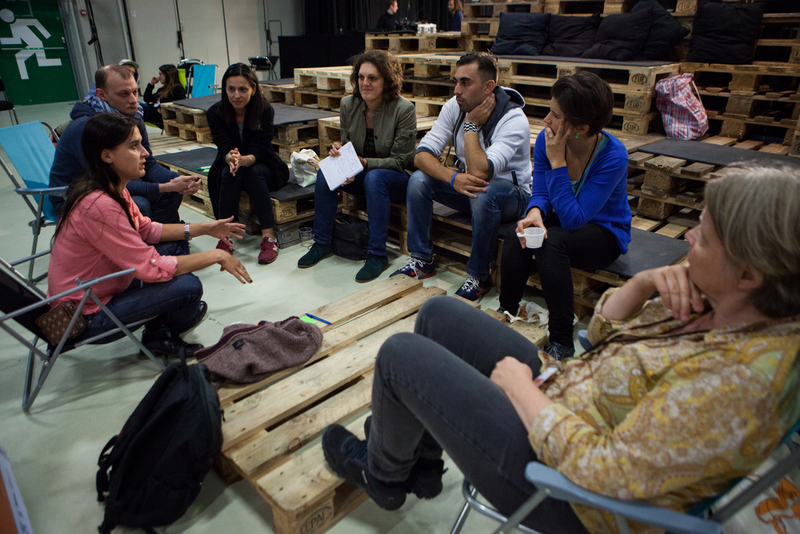 It is organized by the European Cultural Foundation (ECF) together with 6 cultural organizations across Europe under the thematic focus Connected Action for the Commons. The 2nd edition of the Idea Camp took place in Botkyrka, Sweden, between September 23 and 25, and the theme was "Build The City". It was a true tour de force: 10 hours/day of working on our ideas, turning them inside out, construct, deconstruct and reconstruct them following the methodology set up by ECF and the cultural hubs; networking, exchanging ideas, giving interviews to journalists, meeting and talking to as many people as possible, sharing knowledge, attending workshops and very interesting panels and discussions. Inspiration came from everywhere: from our "offices" located in the Subtopia Hangaren, a cultural hub situated in Botkyrka, a suburb of Stockholm with one of the highest percentages of first and second generation immigrants in Sweden; from the 50 Idea Makers representing Europe and neighbouring countries and all the professionals in the fields of the commons, anthropology, culture, activism, sociology, urbanism, architecture, community work, sociology, arts. I absolutely enjoyed being there. Rarely one has the chance to be surrounded with so much knowledge and feel like after 3 days you belong to a community. And although 3 days weren't enough, I left the Idea Camp with lots of energy and hope for Europe. I met some fantastic people, who are trying to solve problems in their communities. I was happy to connect with like-minded people and Idea Makers trying to tackle migration issues. It's great to be in contact with some of them and share our ideas and explore possibilities of collaboration. 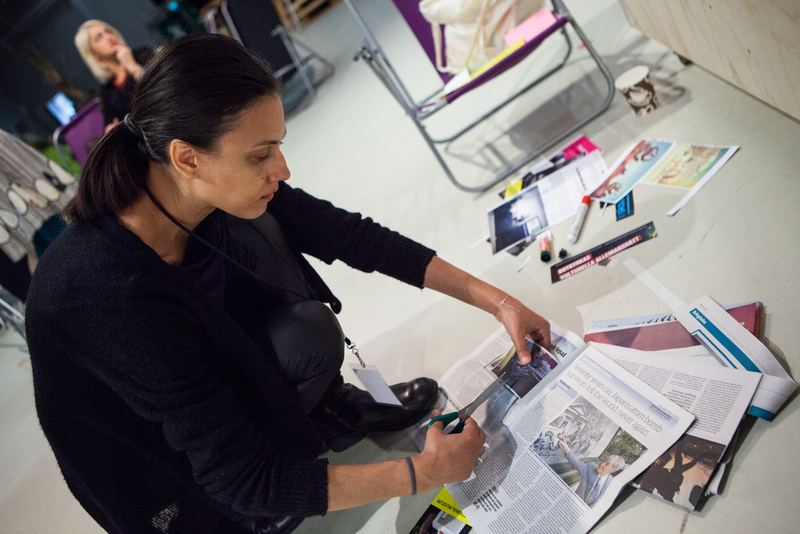 A new year full of opportunities to bring migrant, refugee and local communities together through the means of art, storytelling and social design is just around the corner. migrationlab's living room is expanding. Following my work in Sweden and upon a funding proposal for further research and development, I received the Idea Camp Research & Development Grant for 2016. It's such an important step for this concept, which kicked off 8 months ago only, and I'm looking forward to all the work, the findings of the research and the activities next year!